If you wear reading spectacles or contact lenses wear them to do the test. Hold the chart about 30cm (12 inches) away from your face. 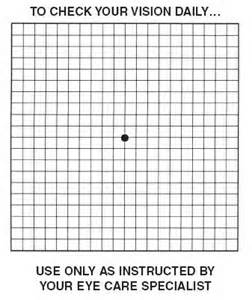 Cover one eye, and look at the black dot in the middle of the chart. Are the lines all straight? 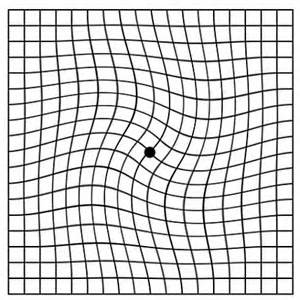 Do you see any broken, wavy or blurred lines? 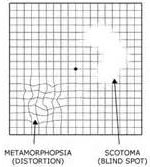 If the lines are wavy, broken, missing or anything like the examples below, you should contact your optometrist straight away, as this could be a sign of macular degeneration.